In 2013, Trump also tweeted unfavorably about sharks, writing, “Sharks are last on my list—other than perhaps the losers and haters of the World.” A list of...what, exactly? Fears? Emergency contacts? Things that recoil at his touch? Stuff not to sue? In fact, Trump hates sharks so much, he once wanted to be their president. In the wake of these clues and revelations, Market Watch reported on Tuesday that shark-related nonprofits are receiving a gigantic influx of donations. 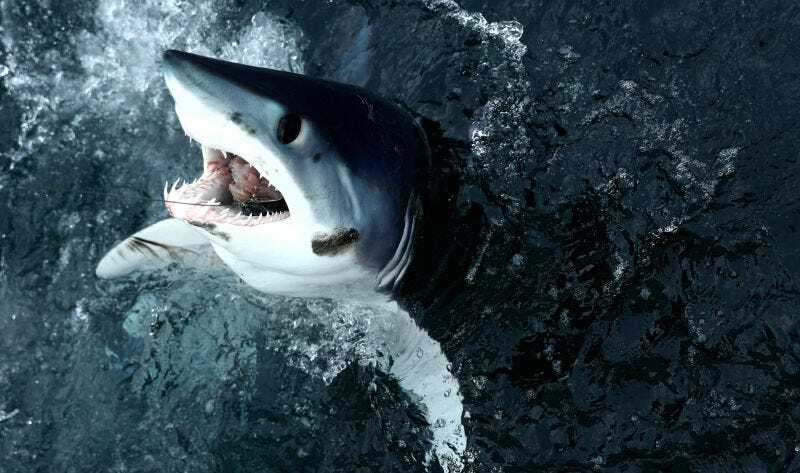 Leaders of the Atlantic White Shark Conservancy and the Sea Shepherd Conservation Society told Market Watch that people seem much more interested in supporting the sharks’ cause since the President seems to despise them so much. Shepherd Conservation Society founder Captain Paul Watson told Market Watch that several donations in recent days have arrived with a note about Trump’s alleged comments attached. “Anything that focuses attention on the plight of sharks worldwide is valuable, so I guess in that way the president did a good service,” Watson said. I wouldn’t call uniting people in their hatred of you a “good service,” but I’m glad the sharks have more resources now.